An SCE team helps with power restoration in Barranquitas, Puerto Rico. Luis and Zaida Lopez can't hold back the tears after SCE and ComEd restored their power. The SCE (blue) and ComEd (yellow) teams with the Lopez family after their power was restored. The power pole in Barranquitas was snapped in two by hurricane-force winds. Damaged power poles remain throughout Puerto Rico after the hurricanes. A family with a disabled son gets power for the first time in five months. As other utilities complete their power restoration assignments and leave Puerto Rico, Southern California Edison’s work on the island has expanded to include new territory. SCE’s first incident management team arrived in Puerto Rico in December to help set up restoration efforts in Ponce on the south side of the island. Since then, SCE’s teams have been planning and coordinating repairs. By March 12, SCE teams and the Duke Energy crews who joined them had restored power to 96 percent of Ponce’s residents. Even with more than 5,000 workers from SCE and other mainland utilities working, 145,000 customers remained without electricity in the more remote parts of the island in early March, according to Puerto Rico Electric Power Authority estimates. SCE's Jennifer Potter and Jim Meis (center) at the Ponce port to check on barges bringing in materials. 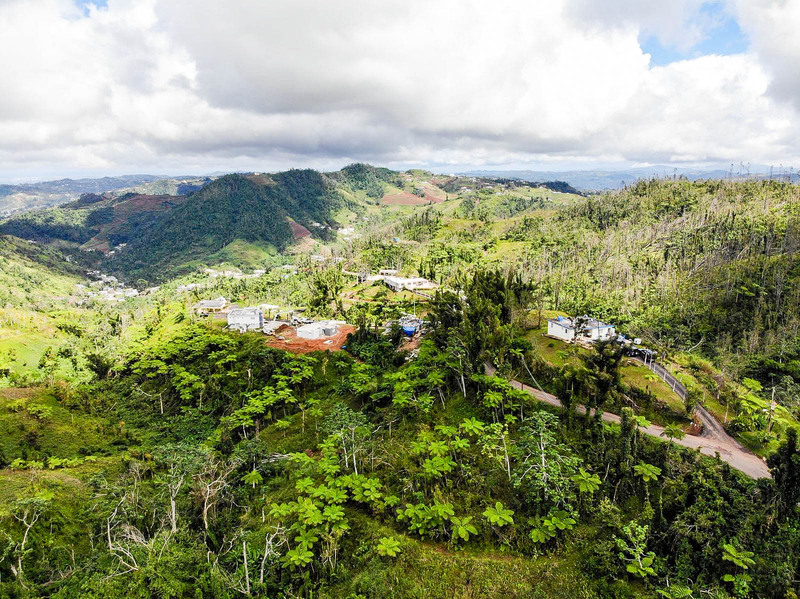 With most of its Ponce work done, SCE’s team was assigned to move into Barranquitas and Cayey in the central part of Puerto Rico, where half the residents still had no power. SCE was joined by crews from ComEd after the Duke workers returned home. SCE team members say one of the things that has set Puerto Rico apart from their work in Southern California is how they have had more personal experiences with the customers. Residents often serve them meals to show their appreciation. One story that really struck the SCE team was about the Lopez family in Barranquitas, which still was without power five months after the hurricanes hit. The family has a disabled son, Javier, who relies on a ventilator. The father, Luis, lost his job after the local restaurant where he worked was destroyed. The Lopezes had used all of their money to buy fuel for two small generators to power Javier’s ventilator and a refrigerator. Because of that expense, they had fallen five months behind on payments on the car they use to take Javier to a hospital in San Juan once a week. “I have four little kids at home, so it hit a chord with me,” said Matt Odell, who did planning for the SCE Puerto Rico team. The Lopez home in a remote part of Barranquitas, Puerto Rico, was without power for five months. The SCE and ComEd teams decided to make restoration of the Lopez’s power a priority. Odell also set up a GoFundMe account to help the family with their bills. Between contributions from the SCE team, the GoFundMe account, which is now closed, and a donation from a church, they raised more than $15,000 for the family. And they got the power restored to the house on Feb. 28. When Luis Lopez flipped the switch to turn on the lights, everyone cheered. “Even burly linemen had tears,” Odell said. SCE’s third Puerto Rico team transferred their work to a new team this week and returned home. The new team will remain until April. 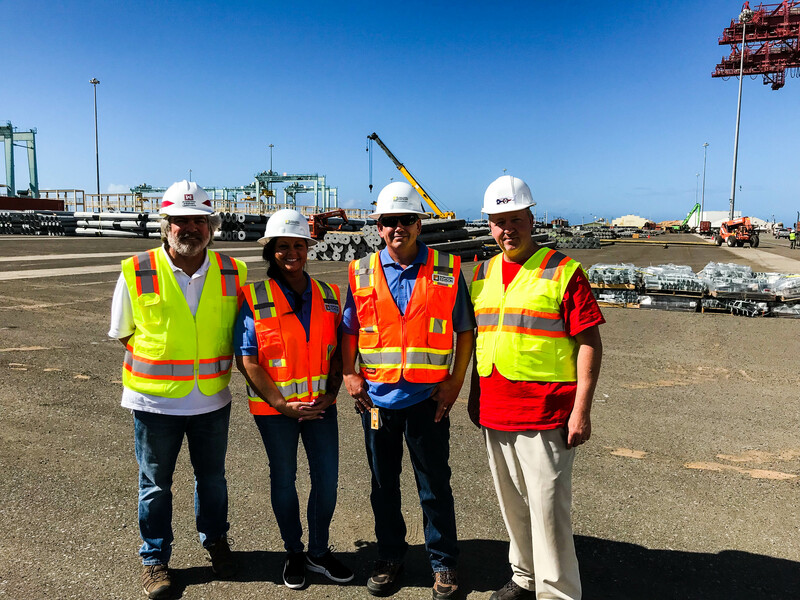 In addition to Bullock and Odell, SCE’s Puerto Rico Team 3 included Robert Bravo, switch coordinator; Sonya Dowtin, security; Tony Fraijo, feeder restoration coordinator; Pete Guereca, operations section chief; Kathy Hidalgo, planning section chief; David Karaffa and Julio Arencibia, logistics section chief; James Meis, safety officer; Rahim Nathoo, situation unit leader; Jennifer Potter, resources section leader; and Scot Stueland, deputy planning section chief. “It’s been pretty chaotic, but it’s been really rewarding,” Odell said.